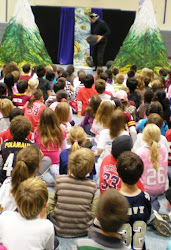 Appalachian stories come to life through puppets, live music and actors. This show highlights the history and different cultures found along this mountain chain. 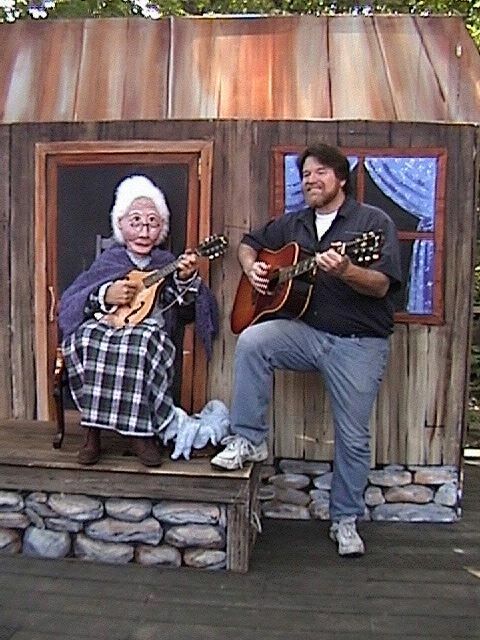 Our storyteller, Granny (a life size puppet), sits on the front porch of her mountain cabin and weaves tales that come to life as her home transforms into a stage for hand, rod and shadow puppets. The stories include a Jack Tale, a Cherokee story, and the legend of John Henry. Granny joins in on the live music played on guitar, and mandolin. How the Milky Way Came to Be This Cherokee story concerns a mysterious night visitor who is stealing cornmeal from a pair of village elders. Outraged their grandson guards the cornmeal only to discovers that the thief is a strange luminescent spirit dog. The wise woman of the village is called upon to solve the problem, and recruits the audience’s help. Together they witness the creation of the Milky Way. The Legend of John Henry This African American folk tale uses shadow puppetry to portray John Henry’s feats of strength and legendary race with a steam drill. John Henry wins the day becoming the champion of the Working Man.The traditional folk song is performed live. Interwoven with these tales is a historic perspective of the people and cultural changes unique to Appalachia.